Crafting With Gourds is a Unique Book! 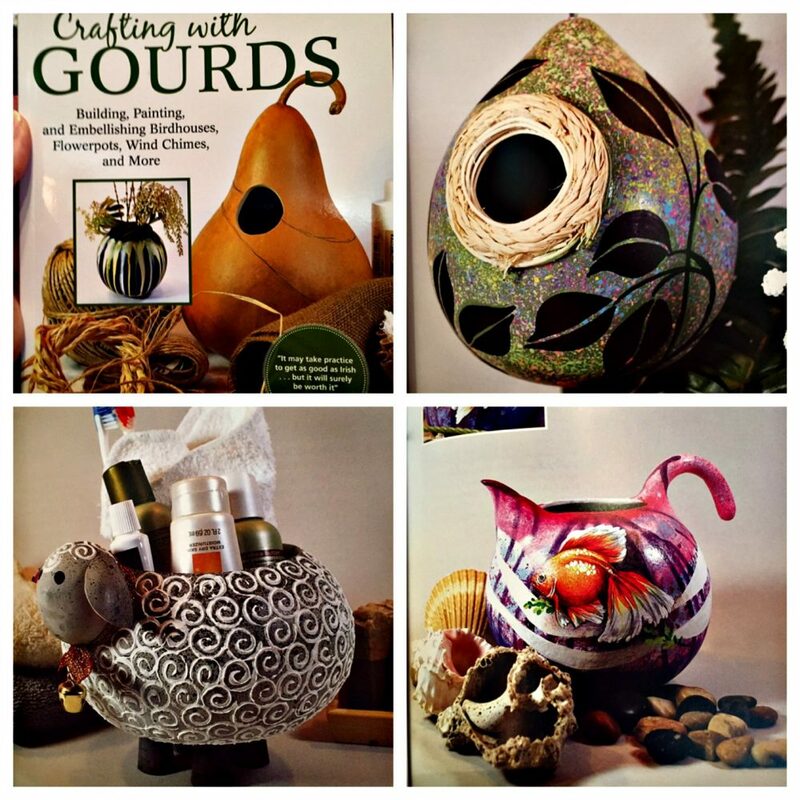 Crafting With Gourds by Lora S. Irish is a unique book that teaches you to create some pretty amazing projects. Whether you are a talented artist or a complete beginner (like me), you will learn some great techniques. Some of the creations you wouldn’t think you could make out of a gourd, but somehow, Lora does it! From birdhouses to water pitchers, and even a tall, crazy-looking bird, there is something for everyone. Like I said earlier, I am a beginner when it pertains to artistic talent, but this book takes you step-by-step. You won’t have to worry about it going over your head! It is simple to read, but complex in the idea-sense. Reading through this book gave me a new understanding of what you can make when you think outside the box. The ideas may be crazy, but they become beautiful creations. No matter what art supplies you have on hand, there is a mountain of masterpieces you can make. You can use watercolors, pastels, crayons, colored pencils, oils, and so many more. Most of us have at least the bare minimum on hand, so you could make at least one thing! The instructions Lora gives you are so easy to follow. She takes you from buying the gourd at the Farmer’s Market (or wherever) to sanding, painting, or whatever you choose to do to it. You will not be confused at any point while making your creation. She has a way of explaining directions and getting you excited about creating something unique. As you read the book, you begin to have your own ideas. There is something special about starting with an ugly gourd and making it into something beautiful! My sister is a true artist! When she saw the book, she begged me for it. Though you can find all kinds of projects on social media, it isn’t the same as having a book in your hand. You don’t have to worry about the screen shutting off, or your computer crashing. A book in hand is a great thing. You can find Crafting With Gourds on Amazon or by clicking the links.